My wine tasting notes, both current releases and older wines from my cellar. Medium. 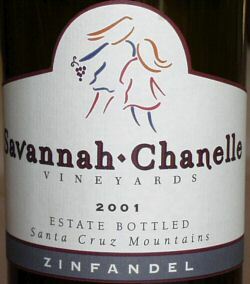 Nose and fruit are dominated by raspberry flavors, moderate acid, moderate tannins, and a long fruity finish. 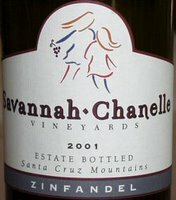 This fine example Zinfandel is made from the almost 100 year old vineyard adjacent to the old Savannah Chanelle winery that were rescured by Daniel Gehrs in the mid seventies. Although it is 15.5% alcohol, it did not taste overripe to me. It seems to have improved from when I first tasted it at the winery last spring. My rating 88.